Referral marketing starts with your brand. There are no ads on Real Word of Mouth. Your business profile is exclusively about your business. Real Word of Mouth is a subscription supported service, which is why you don't see any ads. 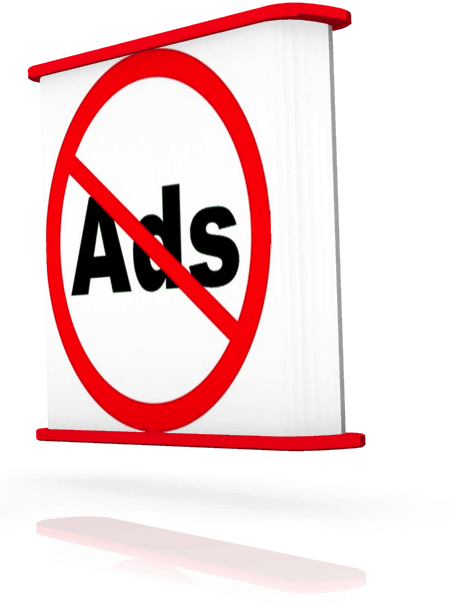 We choose not to have advertising because ads often clutter the page, can cheapen the appearance of a service, distract visitors, and even annoy some visitors. Competing ads hurt your brand. Research has demonstrated that, as the number of ads present on a page increases, recall of brand information declines. This problem is most serious when the competing ads are from the same product category - which is usually the case with online advertising. Think twice about using a service that has competing ads or "Related Businesses" on your business profile. Your brand helps you stand out from the crowd. Real Word of Mouth allows your brand to shine. 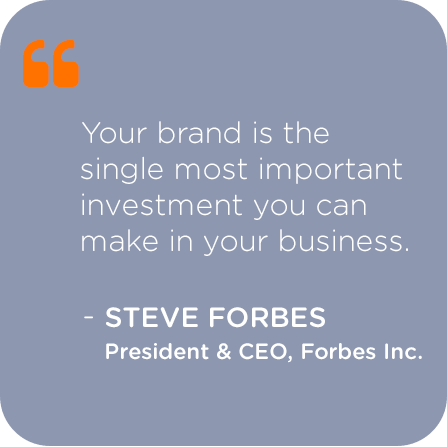 You've worked hard to develop and build your brand. We make sure you can continue to leverage your brand without distraction or competition. Logo or profile image that makes your profile immediately recognizable. Large banner graphic for your business that is immediately recognizable and memorable. No competing colors. Most of the profile visual elements are a neutral gray color that will not clash with your brand. Social media links to your other social media properties like Facebook, LinkedIn, and Twitter. Dedicated pages so that visitors can learn about your business at a glance, including a page "About" your business, a "Bio" about you, and your "Specialties". Use all, some or none of these pages to customize your Real Word of Mouth profile. Brand-centric. Your brand is the first thing a visitor sees. Review-centric. Your reviews and reputation - right after your brand - are the second thing a visitor sees. Responsive. Not only does responsive design make your profile look great on any screen and any device, but Google gives responsive websites higher search rankings when searching from a mobile device. Structured data helps the search engines "understand" your content better and rank your profile higher. Flat graphics. The use of simple and bold graphics keeps visitors focused on the message rather than being distracted by fancy detailed graphics and gimmics. Typography. Real Word of Mouth uses fonts that are more legible and considered more professional than the free fonts most commonly found on websites. Air. The amount of blank space around images and text is sometimes referred to as "air". More air helps visitors relax and focus when viewing your profile. No code. Just fill in basic forms and fields. Your profile automatically looks great. No delays. Changes to your profile take place immediately without delay. Images that you upload for your banner and profile are automatically resized and positioned. Follow our simple guidelines for images to look their best. SEO. 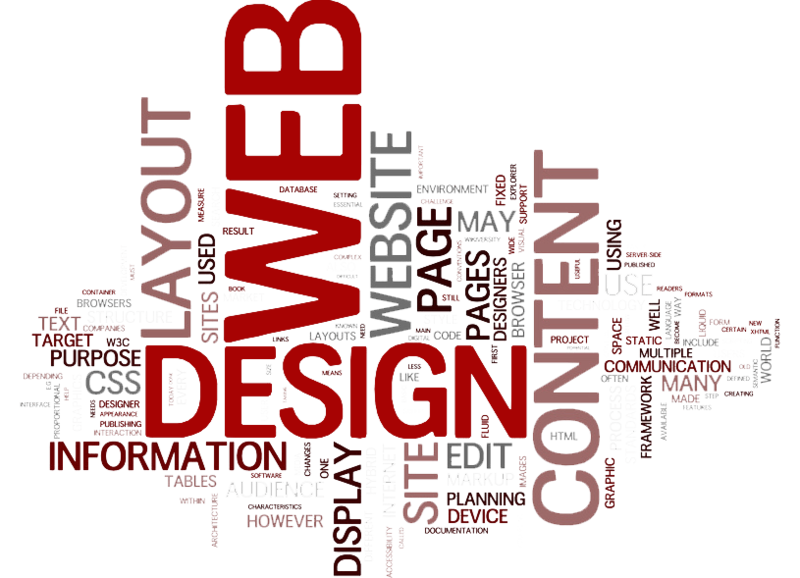 Crucial elements like the profile URL, keywords, and authorship can be controlled. Contact. Choose how much or how little contact information to include on your profile. Information pages. Update, add or remove information pages as you see fit for your brand.